The user interface of Veeam Backup & Replication is designed to let you quickly find commands that you need and perform data protection and disaster recovery tasks. 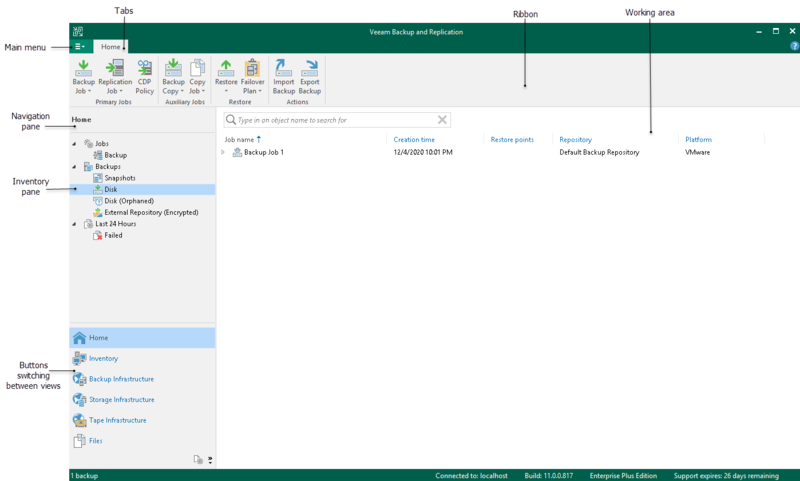 To open online help, press F1 in any Veeam Backup & Replication wizard or window. You will be redirected to the corresponding section of the user guide.